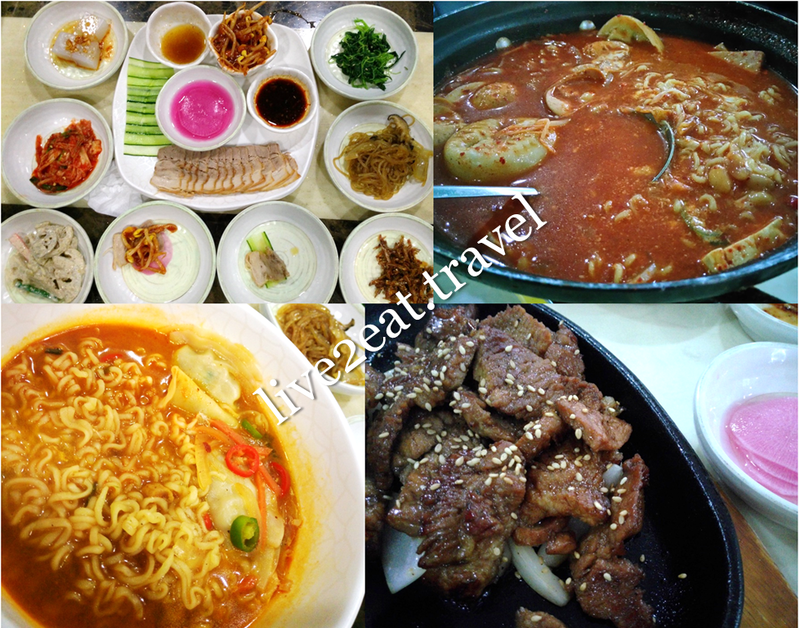 Do you know any authentic Korean restaurant in Singapore that is not located within the Korean enclave in Tangong Pagar? Heard rave reviews of one in Tiong Bahru and have visited the simply-furnished place with wall stickers and posters, many times since it opened in 2012. 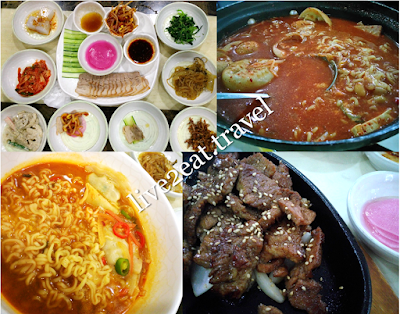 Located along Kim Tian Road with Coq & Balls and Lee Tai Fu, Big Mama Korean Restaurant serves homestyle dishes with no MSG. There is another branch at Biopolis near Buona Vista MRT station – Big Mama BBQ & Beer, which I have not tried as it is a BBQ restaurant. So who is Big Mama? Owner Namgung Ji Young, an ex-tutor who used to cook for Korean students in Singapore. Reservations (6.30pm or 8pm for dinner) are recommended as the place is usually packed. For last minute craving, your best bet is to go earlier as most people tend to eat dinner around 8pm. It is opened from 5.30pm for dinner. 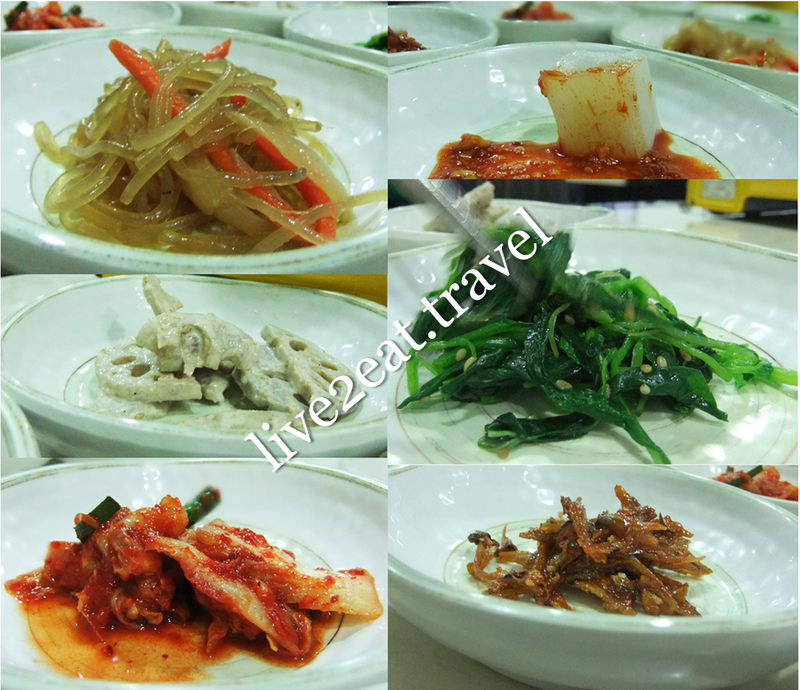 The specialties here are Dakgalbi and Suyuk, both not commonly found elsewhere. 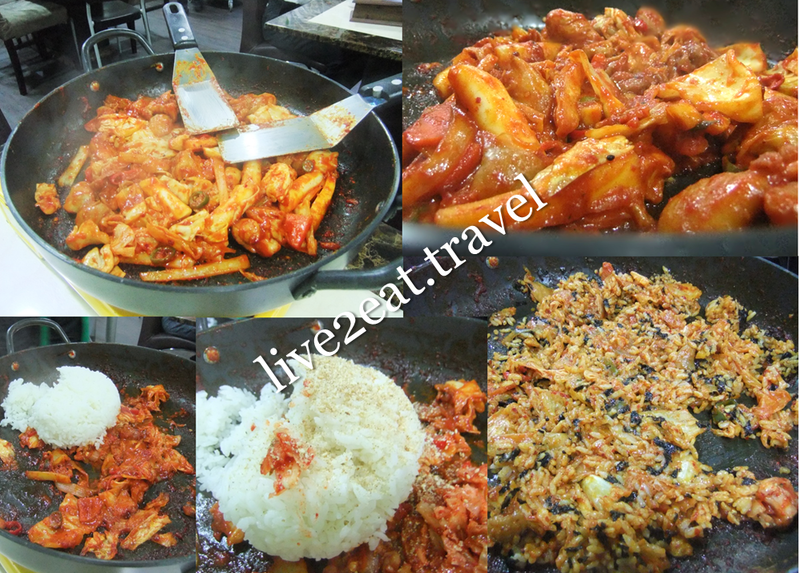 The former is spicy chicken pan-fried with cabbage, sweet potatoes and teokbokki in front of you with the option to add rice after. While the latter is steamed (instead of boiled) pork belly served with beansprouts, thinly-sliced cucumber and radish, and two different sauces. The meat is sweet, firm but not tough, and neither too dry nor fat. Though good enough on its own, the taste is accentuated by the accompanying condiments. This is my favourite dish while a dining companion prefers Dakgalbi – the meat is tender and I loved the sweet potatoes. Could neither rave about its grilled pork nor fault the Budae Jjigae. If you are alone, I recommend its Kimchi Fried Rice which I prefer over the Mandoo Ramyeon. My dining companion would go for Kimchi Soup with Rice. Its Kimchi Jeon and banchan were good too, especially the crunchy lotus roots in sesame dressing. Sadly, standard of the fried anchovies have dropped during my most recent visit last weekend.